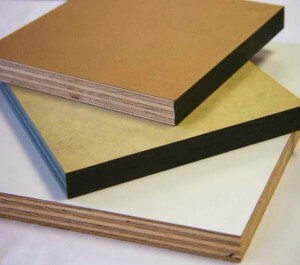 Description: Paneltech’s 305 Conform MDO is a specialty overlay saturated with phenolic resin. It has high-masking properties and is designed for use as a light-duty concrete form overlay. It gives a matte finish to concrete and is treated to release easily from forms when coated with the appropriate form oil. 305C enables manufacturers to design a durable alternative to BB concrete forms by offering MDO-type performance at a lower cost. As with other Paneltech MDO products, 305C has a proprietary glueline formulation that gives it strong adhesive properties when bonding to all commonly used wood substrates.